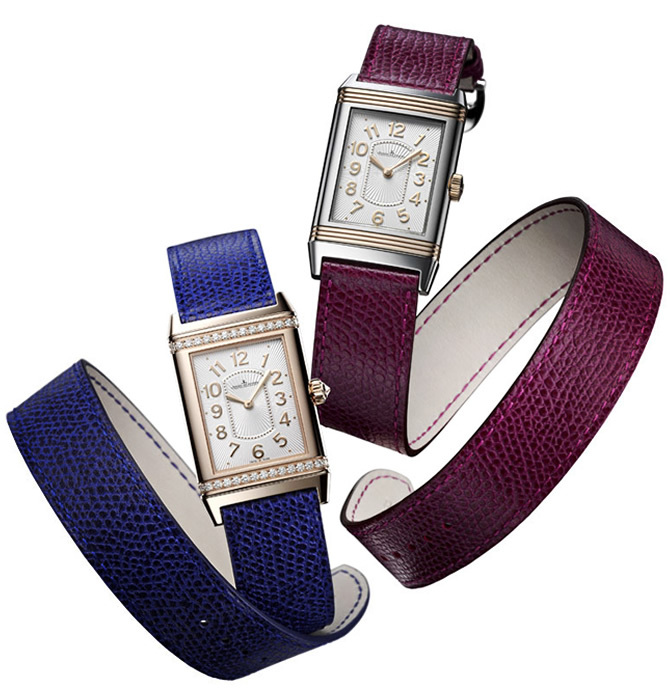 Keeping pace with trends, Jaeger-LeCoultre dresses its Grande Reverso Lady Ultra Thin with a double-tour strap by Valextra in new season’s colors. 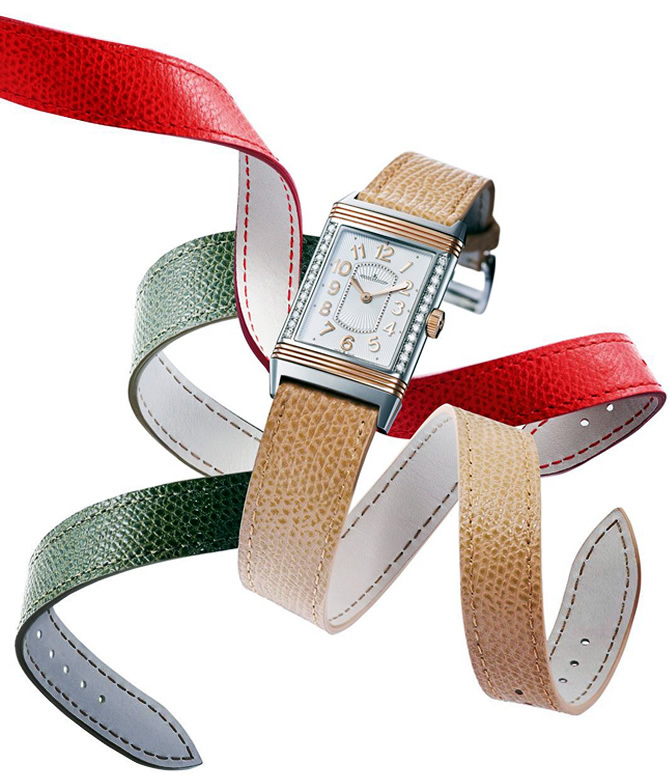 A red “ribes”, green “muschio” or beige “cannetè” strap will accentuate the Reverso’s unique and elegant look, turning it into a trendy accessory. 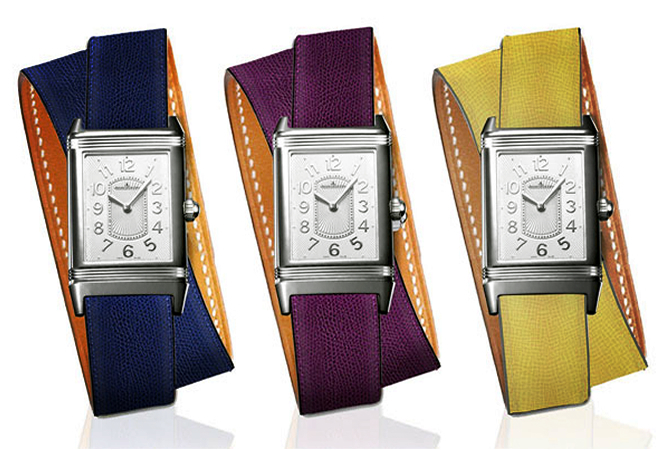 Three new color bracelets will be available at Jaeger-LeCoultre boutiques around the world starting from St. Valentine’s day in February 2013. 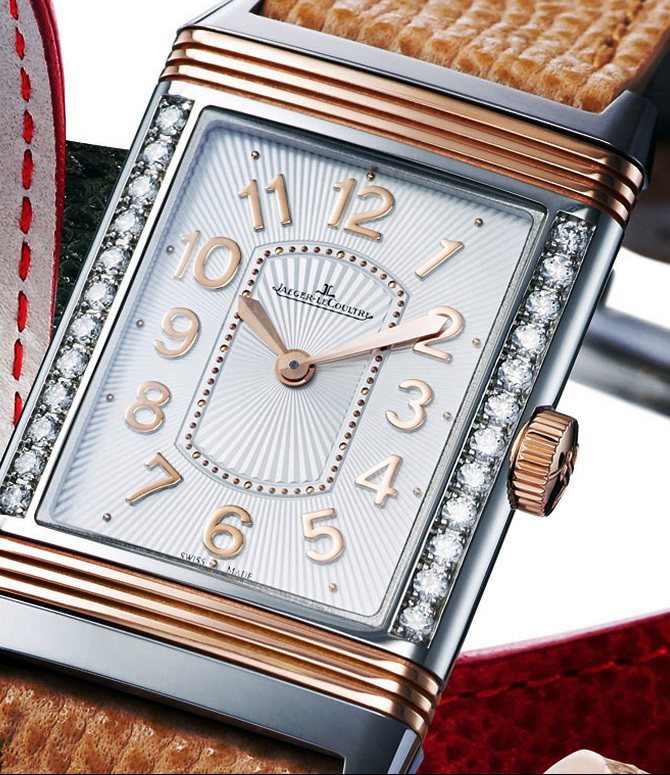 The Grande Reverso Lady Ultra Thin, a model paying homage to women’s dreams, remains faithful to the very essence of the timeless classic Reverso watch, embodying an ideal blend of Art Deco style and elegance. Wearing the Grande Reverso Lady Ultra Thin expresses a certain vision of luxury, of glamour and appreciation for high-end watchmaking. It also conveys a taste for an independent attitude and for self-affirmation. 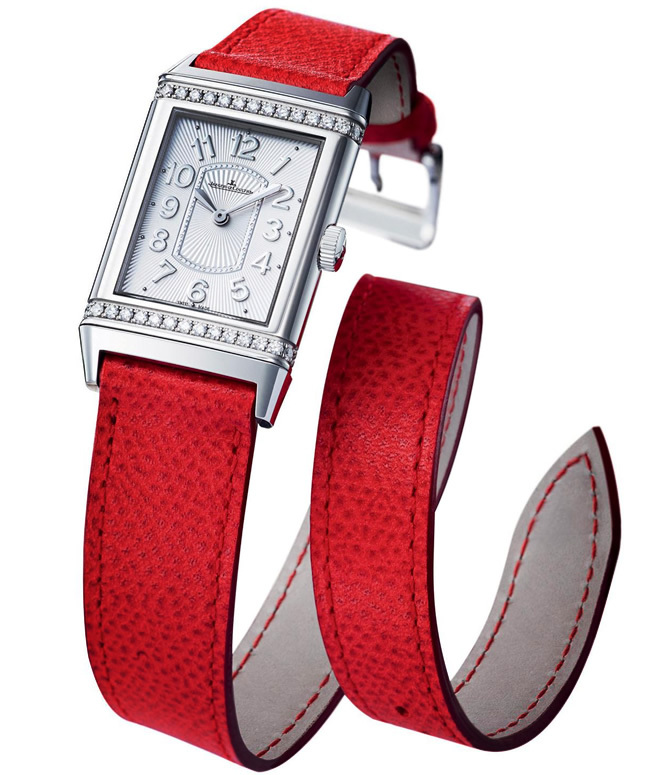 The Reverso watch provides a unique space for personalization through engraving and gem-setting. 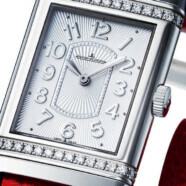 There is an infinite variety of motifs that may be used to personalize a Reverso, including initials, a drawing, a lucky number or a portrait. A wealth of exceptional moments immortalized in a watch that is uniquely able to establish intimate emotional ties with the person who wears it day after day. Sharing the same vision of creativity, Jaeger-LeCoultre, the reference in Swiss fine watchmaking, and Valextra, an internationally renowned luxury Maison, keep creating unique accessories for ladies expressing luxury in every detail and crafted with utmost care. The two Maisons started their collaboration in 2012 issuing the first totally new double-tour bracelet for the ladies’ Reverso. 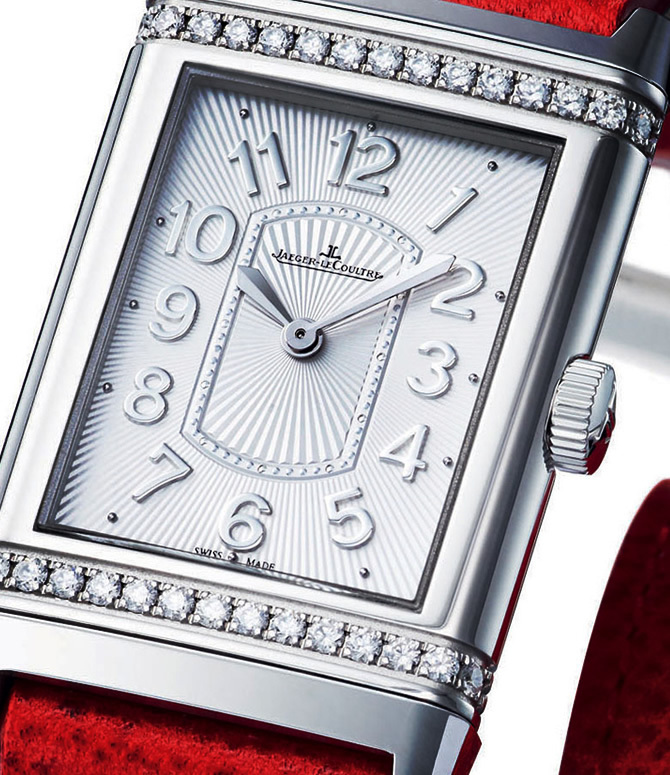 Later on, a Jaeger-LeCoultre Rendez-Vous Clutch by Valextra was presented as a unique way to wear one’s watch. Specializing in leather products with distinctive shapes designed for the comfort of sophisticated and cosmopolitan travelers, Valextra, during its history, became an internationally renowned luxury Maison and its name synonymous with a timeless style, challenging trends, exquisite craftsmanship: most of its creations became historical bestsellers, some being celebrated as icons of design in various museums of modern art worldwide, such as the famous travel piece the “24h ”, awarded the prestigious “Compasso d’Oro” Prize in 1954 and which was entrusted in history the name “24 Hour Bag”.